 What is Spiritual Direction?  What does being "scrupulous" mean? The Catechism of the Catholic Church has a wonderful section on prayer including different types of prayer which you can read by clicking here. Here is one excerpt from the Catechism: CCC #2744, "Prayer is a vital necessity. Proof from the contrary is no less convincing: if we do not allow the Spirit to lead us, we fall back into the slavery of sin. How can the Holy Spirit be our life if our heart is far from him? Nothing is equal to prayer; for what is impossible it makes possible, what is difficult, easy.... For it is impossible, utterly impossible, for the man who prays eagerly and invokes God ceaselessly ever to sin.Those who pray are certainly saved; those who do not pray are certainly damned." The Rosaryis a method of vocal and mental prayer (meditation) recommended by the Blessed Mother that can lead to the highest forms of prayer (i.e. contemplation). I've written a book on how to pray the rosary as a pathway to contemplation click here for information and also you can learn how to say the rosary online click here. Lectio Divina is another method of prayer that is recommended. For an overview and more links to the left click here. "... If you really want to know God you must spend some time with Him. St. James tells us 'draw nearer to God and He will draw nearer to you.' So, take the necessary steps today: 1. Get right with God -- confess your sin and turn away from the things you are doing wrong. 2. Recommit your life to Jesus: for example, say this prayer 'Lord, Jesus, I recommit my life to you -- I ask forgiveness of my sins -- I ask that you would come into my life -- be my Lord. Lead me and guide me all the days of my life. I thank you Jesus. Amen.' 3. Set aside a specific time each day to spend with God. For some people mornings are best, with others its evenings. To begin each day try to spend at least 15-30 minutes praying and reading your Bible. Read a little, then think about what you have read and then talk to God about it from your heart -- then read some more etc. As your schedule permits increase your time with God. 4. Get involved in prayer groups, bible studies, and other church activities. Read good Christian material." To see St. Ignatius' method of meditation click here. "IT may be, my daughter, that you do not know how to practise mental prayer, for unfortunately it is a thing much neglected now-adays. I will therefore give you a short and easy method for using it, until such time as you may read sundry books written on the subject, and above all till practice teaches you how to use it more perfectly. And first of all, the Preparation, which consists of two points: first, placing yourself in the Presence of God; and second, asking His Aid. And in order to place your self in the Presence of God, I will suggest four chief considerations which you can use at first. The second way of placing yourself in this Sacred Presence is to call to mind that God is not only present in the place where you are, but that He is very specially present in your heart and mind, which He kindles and inspires with His Holy Presence, abiding there as Heart of your heart, Spirit of your spirit. Just as the soul animates the whole body, and every member thereof, but abides especially in the heart, so God, while present everywhere, yet makes His special abode with our spirit. Therefore David calls Him the Strength of my heart; 2727 Ps. lxxiii. 26. and S. Paul said that in Him we live and move and have our being. 2828 Acts xvii. 28. Dwell upon this thought until you have kindled a great reverence within your heart for God Who is so closely present to you. The third way is to dwell upon the thought of our Lord, Who in His Ascended Humanity looks down upon all men, but most particularly on all Christians, because they are His children; above all, on those who pray, over whose doings He keeps watch. Nor is this any mere imagination, it is very truth, and although we see Him not, He is looking down upon us. It was given to S. Stephen in the hour of martyrdom thus to behold Him, and we may well say with the Bride of the Canticles, He looketh forth at the windows, shewing Himself through the lattice. 2929 Cant. ii. 9. The fourth way is simply to exercise your ordinary imagination, picturing the Saviour to yourself in His Sacred Humanity as if He were beside you just as we are wont to think of our friends, and fancy that we see or hear them at our side. But when the Blessed Sacrament of the Altar is there, then this Presence is no longer imaginary, but most real; and the sacred species are but as a veil from behind which the Present Saviour beholds and considers us, although we cannot see Him as He is. Make use of one or other of these methods for placing yourself in the Presence of God before you begin to pray;do not try to use them all at once, but take one at a time, and that briefly and simply. God grants everything that we ask him for in the name of Jesus Christ. If, then, we wish to he saved, we must pray, and pray with humility and confidence, and above all with perseverance. My God, I believe that You are here present, and I adore You with all my heart. I deserve at this moment to be burning in hell for my sins [but I trust in your Mercy and Love and realize you love me so much that you sent your Son to die for me on the cross so I might be saved]; O my God, I am sorry for having offended You; pardon me. Eternal Father, grant me light in this meditation, that I may profit by it. Then say a Hail Mary to the divine Mother, and a Glory be to the Father, etc., in honor of St. Joseph, of your guardian angel, and of your holy patron. O Lord! dispose of me as You please; help me to know all that You require of me: I wish to please You in all things. We should especially apply ourselves to making petitions, in asking God to grant us holy perseverance, his love, light, and strength, that we mostly need in order to do his holy will, and to pray always. III. The CONCLUSION is made thus: We make the resolution to avoid some particular sin into which we fall the most often. We should finish by saying an Our Father and, a Hail Mary, and never forget, in meditation, to recommend to God the souls in Purgatory, and all poor sinners. From St. Alphonsus de Liguori, The Incarnation Birth and Infancy of Jesus Christ, Rev Eugene Grimm Trans., Redemptorist Fathers Brooklyn Publishers (1927) p. 445. Imprimatur +Patrick Cardinal Hayes, 1927. "We must observe that Saint Alphonsus makes the practice of mental prayer simple, clear, easy, and not less fruitful. Owing to the method which he teaches, this exercise, indispensable to him who wishes to sanctify himself, is really put within the reach of all. He wishes that every one should learn how to meditate. He earnestly recommends that for this purpose special instructions should he given to the people." Rev. E. Grimm. "Mental prayer consists of three parts; the preparation, the meditation, and the conclusion. The preparation consists of three acts: one of faith in the presence of God; of humility, with a short act of contrition; and of prayer to be enlightened. saying as follows, for the first: My God; I believe that you art present with me, and I adore you with all the affection of my soul. For the second: O Lord by my sins I deserve to be now in hell. I repent, O Infinite Goodness! with my whole heart, of having offended you. [Jesus, I trust in you.] For the third: My God for the love of Jesus and Mary, give me light in this prayer, that I may profit by it. Then say a Hail Mary to the Most Blessed Virgin, that she may obtain light for us; and a Glory be to the Father, to St. Joseph, to your guardian angel, and to your patron saint, for the same end. These acts should be made with attention, but briefly; and then you go on directly to the meditation. "Every act of love merits eternal life." Each act of contrition obtains the same thing. Acts of love are such as these: My God; I love you above all things! I love you with all my heart! I desire to do your will in all things. I rejoice that you are infinitely happy! and the like. For an act of contrition it is enough to say: O Infinite Goodness, I repent of having offended you! My God, help me! Lord, have mercy on me! My Jesus, have mercy! and if you do nothing but this, your prayer will succeed exceedingly well. In the third place, before finishing your prayer, you must form a particular resolution; as, for instance, to avoid some occasion of sin, to bear with an annoyance from some person, to correct some fault, and the like. 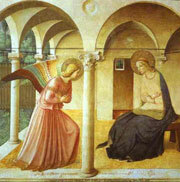 Finally, in the conclusion, three acts are to be made: in the 1st, we must thank God for the inspirations we have received; in the 2d, we must make a determination to observe the resolutions we have made; in the 3d, we must ask God, for the love of Jesus and Mary, to help us to keep our resolution. The prayer concludes by the recommendation of the souls in purgatory, the prelates of the Church, sinners, and all our relatives and friends, for which we may say an Our Father and a Hail Mary. St. Francis of Sales exhorts us to choose some thought which may have struck us more especially in our prayer, that we may remember it during the rest of the day." From St. Alphonsus de Liguori, Preparation for Death, Rev Eugene Grimm Trans., Redemptorist Fathers Brooklyn Publishers (1926) p. 445. Imprimatur +Patrick Cardinal Hayes, 1926. Fr. Donald Kinney, OCD, of the Carmelite House of Studies, Mt. Angel, OR. St. Teresa of Avila was a Doctor of the Church, Carmelite nun and reformer of the Carmelite order. She has a lot to teach us about prayer having reached the summit of prayer in her life. She says mental prayer is not a way of thinking but includes both thinking and loving, and most of all is about loving. In it we think about God with our minds, love God with our hearts and speak to God. Step 1. Preparation  The remote preparation for prayer is the life we lead all day. The proximate preparation is the time immediately before prayer, the time to take our minds off other things and put it on God. During prayer time we seek to put our focus completely on the Lord. Its best to have a specific time and place to pray rather than just when we feel like it or after we get everything else done. To pray it is good to find a quiet place and close the door. St. Teresa would often read a little bit of spiritual reading, especially from the Bible. Step 2. Consideration  One way is to read some verses from Scripture or spiritual reading and think about them. Choose 3 or 4 lines (especially from Scripture), something that speaks to your heart to meditate upon it (as in ponder and dwell upon it). Take these few verses and read them over and over and meditate on them (or take one verse and just dwell on it and let it sink into the depths of your being). St. Teresa liked to focus on the humanity of Christ. She strove to picture Christ within her and right there with her. She thought of Jesus being alone especially in the agony in the Garden and strove to be his companion there. One idea is to think of a scene from the gospel that has been particularly meaning to you and think or meditate on that. Step 3. Conversation Then take time to talk to Jesus about what was read. Speak and listen to him. For example, ask Jesus how he felt when he was alone in the Garden of Gethsemane. Tell him you will keep him company. St. Teresa says we can talk to Jesus as we would talk to a friend. Step 4. Conclusion  While speaking to the Lord God, you can say many things. For example, thank Him for his many blessings; ask him to help you pray better; intercede for others; or ask for help with problems. Ask him to remain with you. Traditionally we say they are four types of prayer: praise, thanksgiving, intercession (where we pray for others) and petition (where we ask God to supply for our particular needs). Conclude with an Our Father and/or Hail Mary. We have many attachments that can keep us from a life of prayer. What are our attachments? What keeps us from really giving ourselves completely to God and putting him first? What keeps us from taking time to spend with God in prayer? St. Teresa of Avila was very social and spent time talking often in the parlor with guests for her first years in the convent which later she felt was a waste of time. Today we have the telephone, TV, internet that might take up a lot of our time. But a very important thing to remember when we find ourselves making excuses that we don't have time to pray is that we make time for what is important to us. St. Teresa, for a while, was attached to her illness and was not going to pray because she didnt feel good physically. We need to look at our attachments and see what is keeping us from regular prayer. At first when we become a Christian, Catholic, a member of a religious denomination or group, we are often very fervent and excited. You might say that is our honeymoon period where God grants us a lot of consolations and shows us how much he loves us. Then later when things quiet down a bit from our initial happiness and excitement for finding a new way of life in which we feel really blessed, we might enter into a stage where we dont put God first as well as we once did. We might start taking him for granted in a way, just like we might with our earthly marriages or friends. We can even get to the point that we are not putting God first in our lives anymore. Perhaps weve quietly taken back control of our life or never really handed it over completely to God. Prayer helps us to empty ourselves of what is not of God or God and to remain that way. St. Clare talked about the prayer of pure gazing. Our meditation may turn into contemplative prayer. We might find ourselves just looking at Christ on the cross and realize we are just looking at Him as he is looking at us and we dont have to say anything. At times we can be together with God in a way that goes beyond words. St. Teresa considered contemplation a gift from God not something brought about through a method. While contemplation is the highest form of prayer because it is given by God, St. Teresa didn't advise we just sit there and do nothing. She said to pray as we could pray. So we meditate when we can and when God was granting us this gift of contemplation then we yield to it as a higher form of prayer. How can I keep my mind on prayer? Distractions: Everyone has distractions. Dont let that bother you. Just begin again. One suggestion is that before beginning prayer, if you tend to get distracted with things to remember, take a piece of paper and pen with you when you pray and write down things that come to mind that you feel you need to remember after prayer. This way you can put some of your distractions out of your mind and not have to try to remember them while you pray. Jesus draws us to prayer and helps us with our problems. We can decide that we are going to stay with him for 10-15 minutes or longer in prayer. Distractions are problems with knowing God. Aridity is a problem with loving God. Prayer is a decision, just as love is a decision. Sometimes if we don't feel like doing something, just making ourselves do the behavior will bring feelings with it later. St. Frances de Sales says that staying and placing ourselves in Gods presence are two different things. We always make an effort to be with him. What happens to us when we pray? That is up to God. We dont go seeking signs and wonders (as the devil will be happy to provide them). The Lord is always revealing himself to us. St. Teresa had a sense of Gods presence throughout the day but not always or necessarily during her prayer times. She never heard Jesus speak out loud to her but she said he was within her guiding her. We too will have more of a glow about us that others will see after we pray. Well see ourselves and others more in the light of Christ. We will grow in virtue (which St. Teresa says is the sign that our prayer is authentic). God will help us to see blessings in our problems. Jesus said, "I will give you rest when we come to him in prayer. Our very burdensome lives are changed to happy lives in Christ. St. Teresa said that bodily strength is not necessary for prayer, only love and a making prayer a habit. She said that we might pray and not notice anything happening but then all at once we will see that progress has been made and what has been happening while we prayed. If you preserve in the midst of temptations, you will conquer in the end with the grace of God. St. Teresa advises to have a very determined determination to be faithful to God in prayer and you can hope to reach the summit as she did. Prayer is essential for having a "personal relationship" with Jesus. There wouldn't be much of a relationship if we never communicated and prayer is how we communicate with God. Pope John Paul II said: "How to pray? This is a simple matter. I would say: Pray any way you like, so long as you do pray." St. Teresa of Avila tells us to speak to Jesus as we would speak to a friend. Make God the number one priority in your life by putting him first in all things especially by obeying his commandments and setting aside a time to pray each day.